Iron.io is a suite of tools allow a busy developer to do what they do best, BUILD, without having to manage any underlying infrastructure. Its tools are lightweight, secure, and allow developers the ability to get started quickly. Worker is Iron's flagship product that helps customers painlessly scale their container based workloads. Users can fire off containers to be run directly from within their application code without needing to worry about the machines that run them. Worker scales resources up and down behind the scenes to handle variable loads. MQ is a lightning fast message queue that scales on demand. With its Push Queue technology, application developers are able to create dynamic hooks into their queues that help save valuable development hours. A lot of the "glue" code that usually needs to be written when with interacting with a message queue is handled natively by MQ. All products can be managed via an online UI or via a robust HTTP API. Iron's products run on public clouds as well as On-premise. Kitematic is an open source container management UI for Mac OS. Cloud 66 for Containers offers a full stack container management that can be deployed to any cloud provider or any server. A complete set of tools for building, running and maintaining containerized applications in production. Build your image or bring your own image, deploy and manage. Depending on your needs. 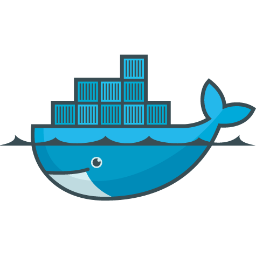 Cloud 66 supports Docker containers. How to get started? First, connect Cloud 66 to your Git repository. Next, you can build your image or bring your already existing image. Then connect to the cloud provider of your choice (including AWS, DigitalOcean, GoogleCloud, Microsoft Azure, Linode, bare-metal Packet or with our Registered Servers feature to any server). 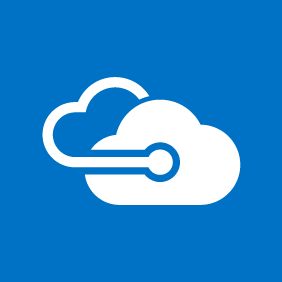 Then hit the deploy button and Cloud 66 will manage, maintain and scale your app. Take advantage of automatic detection of used databases in our source code. And access to wide range of tools and features (including BuildGrid, LiveLogs, ActiveProtect, ContainerNet, Failover Groups, Team Access Control and more). ContainerShip is a platform to manage multiple hosts as one cluster that your containerized applications can run on. Flexiant is the leading European provider of cloud management & cloud orchestration software for on-demand, fully automated provisioning of cloud services. Arkose helps maintain the number of extra libraries to a minimum, avoiding situationson another machine and avoids the maintenance needed when dealing with chroots. Cypherpath delivers IT infrastructure by encapsulating machines, networks, storage, and apps in software-defined infrastructure containers. Exoscale provides Cloud hosting with an emphasis on Simplicity, Scalability and Safety for SaaS companies and web applications. Thanks to a simple and intuitive web administration interface and coupled with a no-surprise pricing plan, Exoscale makes complex infrastructure concepts easily palatable. Exoscale is fully self-service and lets customers get up and running in minutes. Exoscale relies on rock-solid infrastructure components and engineering to ensure maximum scalability, reliability as well as performance. Based in Lausanne Switzerland, and with data-centers spread-out throughout Switzerland and Europe, Exoscale benefits from one of the best data protection. Galactic Fog helps companies build future proof applications and manage application infrastructure in a efficient and secure way. Gravitational makes cloud applications portable. Its technology allows developers to deploy and remotely manage applications on any infrastructure, anywhere in the world.